Corporate Partner designation is limited to 25 organizations with a broad spectrum of industries as our goals. Corporate Partner applications are reviewed by the Corporate Partnership Selection Committee and are assessed according to an organization's past, current, or potential future engagement with the Flex and/or Executive MBA programs in terms of support for students enrolled in those programs and willingness to engage with program leaders in conversations designed to enhance the learning and experience of our Working Professional students. Applications are accepted on a rolling basis as and according to vacancies. Sign an agreement outlining current tuition rates, program benefits, limitations, and permissions. Review an annual agreement (with no obligation to renew). Provide permission for William & Mary to list organization's name and display organization's logo on our Corporate Partnership webpage on the Raymond A. Mason School of Business website and in recruitment materials for each program. 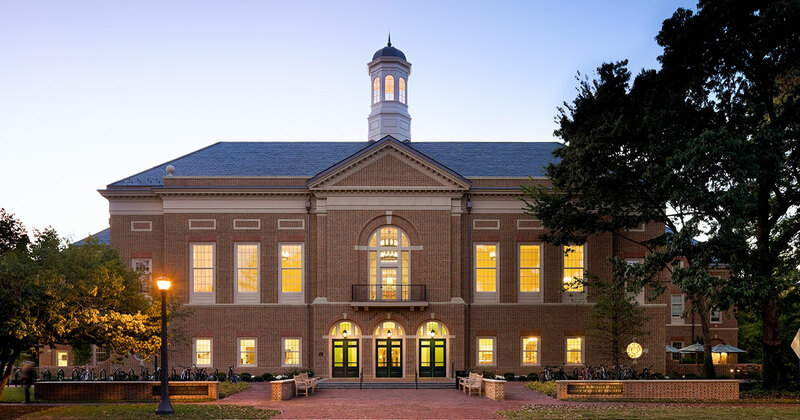 Refer employees to William & Mary's MBA programs for working professionals (Flex MBA and Executive MBA) who are interested in earning their MBA degree while continuing with their career. Provide coordination, space, and internal promotion for one annual professional development session led by William & Mary faculty members for a group of employees selected by the Partner organization. Provide one company representative at the level of Director or higher to participate in the ﻿Working Professional Advisory Group﻿ to engage in interactive sessions with other Partner organizations and Flex/ Executive MBA staff and faculty about the relevance and applicability of program curricula. The group will be hosted at least annually at Alan B. Miller Hall on the William & Mary campus.